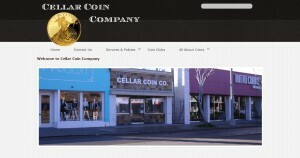 Cellar Coin Company address, phone, website, hours of operation, and more. Cellar Coin Company has been part of San Diego’s numismatic community since 1972. We’ve thrived for over 40 years in Pacific Beach because of the long term relationships we form with our clientele, whether they are precious metal investors or casual coin collectors. Our shop deals in all areas of the numismatic hobby. We buy and sell United States coins and currency, mint sets, proof sets and commemorative coins. We also buy and sell gold, platinum, silver and palladium coins and bars. If you’re looking for coin supplies, we sell those too.